We launched a new campaign targeting customers who have visited the Secure Heritage website. 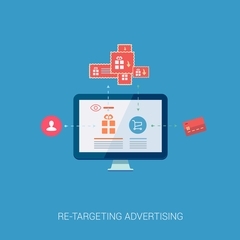 Retargeting brings people back to your website by serving personalized ads across devices, the web, and social media. AdRoll Retargeting ads are perfect for bringing people back to your website consistently for those products or services with longer sales cycles, such as insurance policies. For more information on Retargeting ads and what they can do for your business, call us at 715-675-9194.